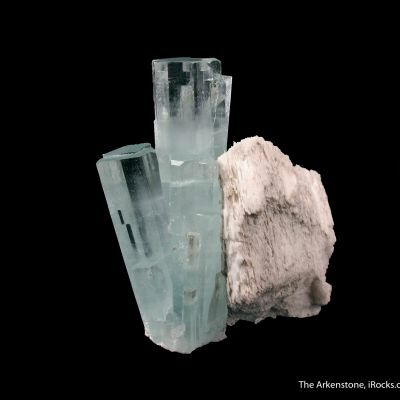 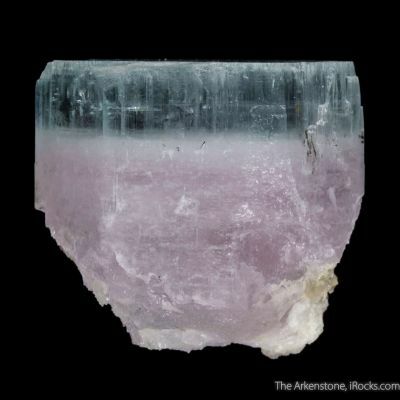 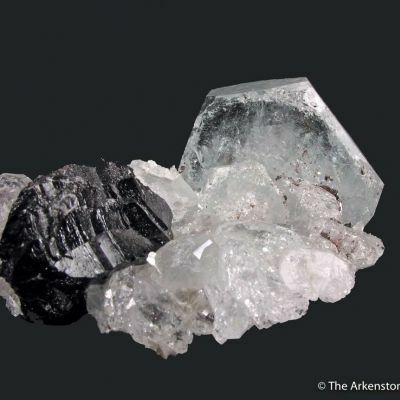 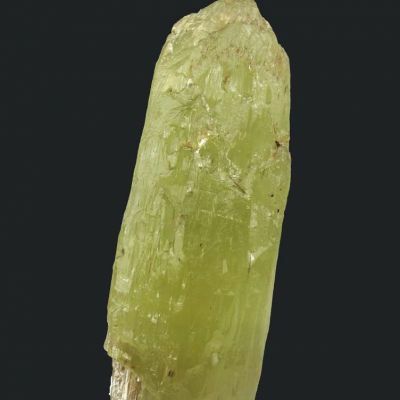 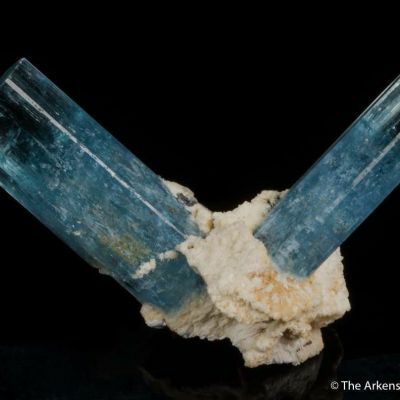 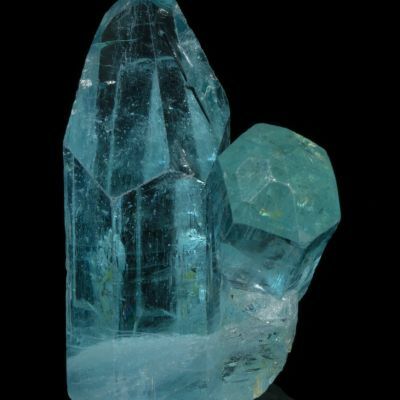 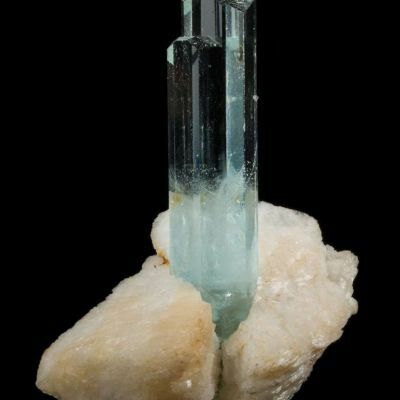 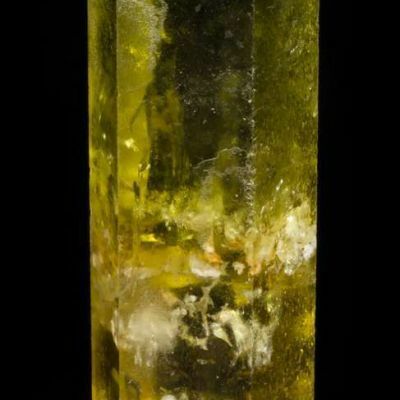 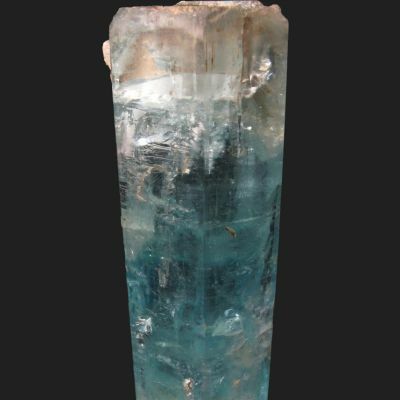 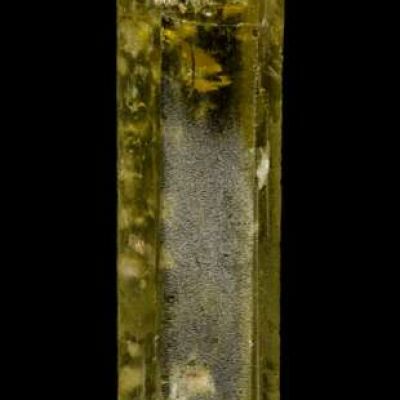 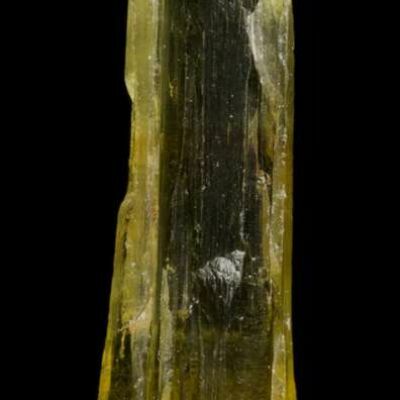 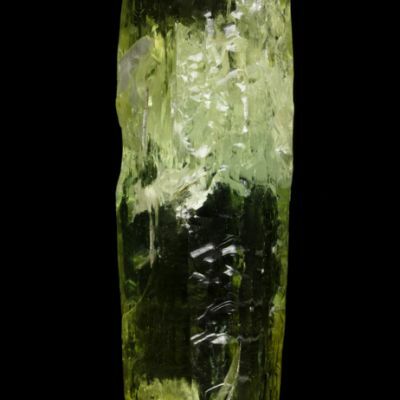 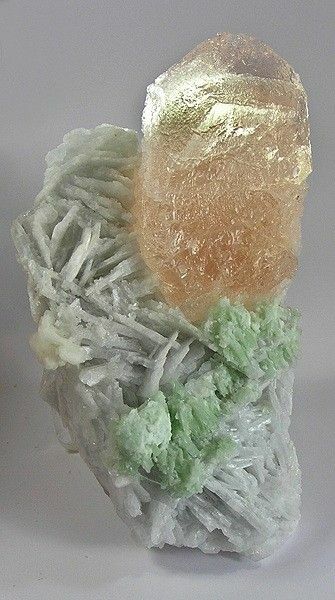 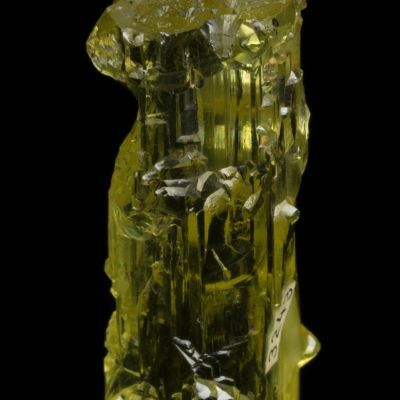 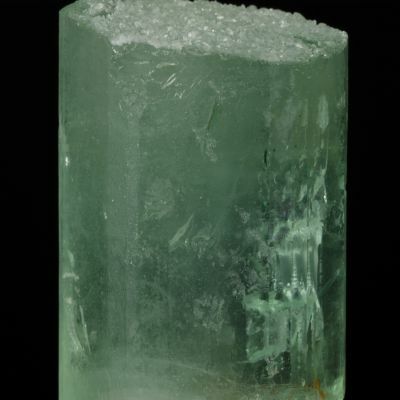 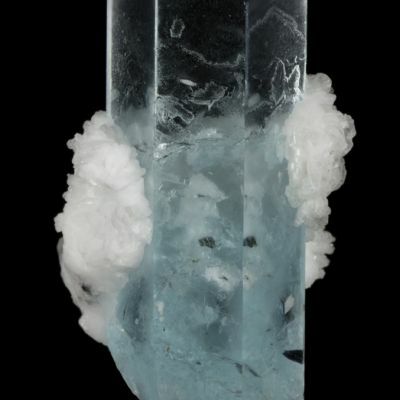 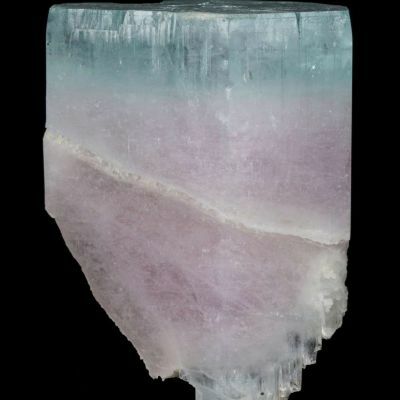 A large, complete crystal of morganite (pink beryl) jutting out dramatically from a stark white contrasting matrix of bladed cleavelandite, with accenting light green tourmaline (including some little crystals and some massive green tourmaline). 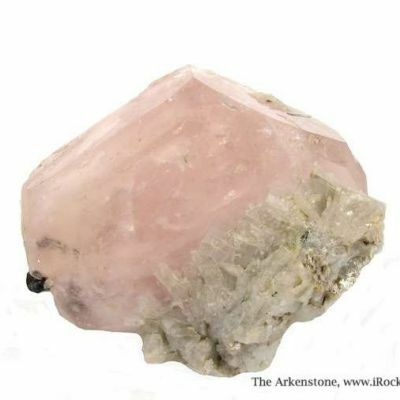 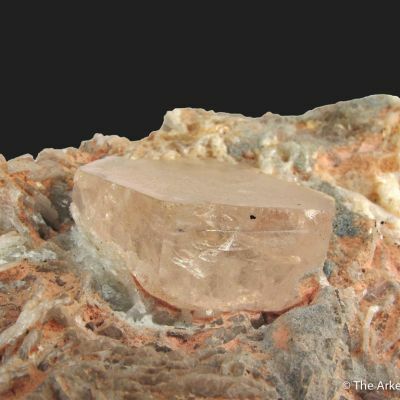 The morganite measures 5.5 cm in length and 3 cm across the termination. 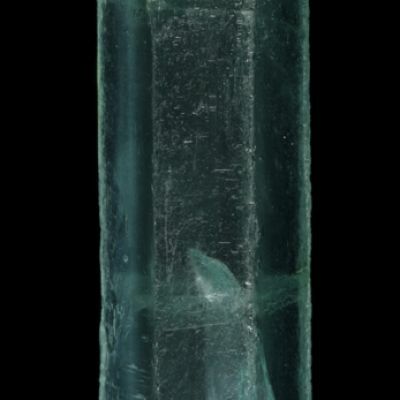 It is complete and undamaged, with complex etched face surfaces on all sides that reflect light from hundreds of little points. 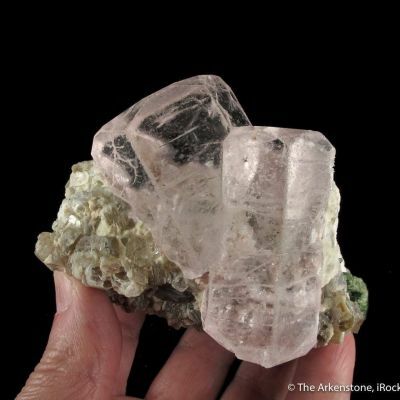 It is not the traditional sharp hexagonal morganite, to be sure, but I love the combination of the morganite, cleavelandite and green tourmaline - this is very unusual!